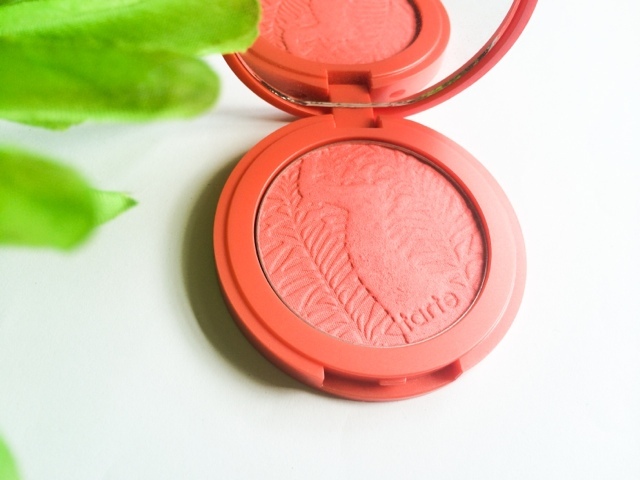 Since Tarte cosmetics are now available in the UK from QVC, and Sephora are finally shipping to our lovely shores, I thought it was about time I started to try out some of their products and what better place to start than their famous Amazonian Clay Blush! Their blushes, which come in a variety of shades and finishes, are infused with (as the name suggests) Amazonian Clay. 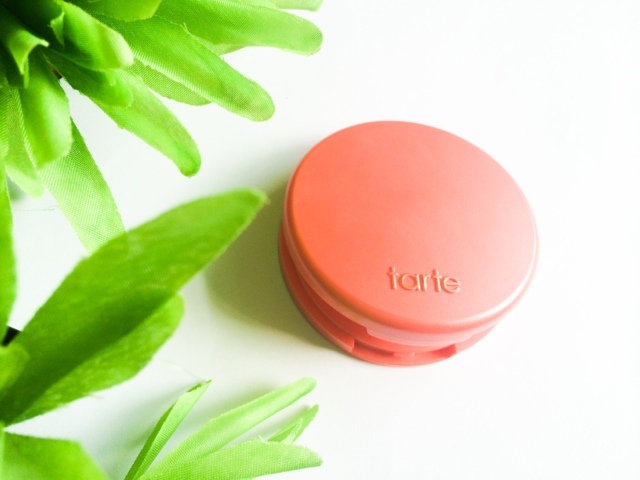 The formula is designed to balance oil production and thus prolonging the wear time of the blush for up to 12 hours. The clay also helps to keep the skin hydrated and reduces the look of dry and flaky skin. With all these promises and the vast colour selection no wonder everyone and their dogs are raving about them! The colour I opted for is 'Tipsy' and will come to no surprise to anyone as it's a gorgeous pinky coral shade and a colour that I always tend to gravitate for. The finish is semi matte but I did notice tiny flecks of shimmer running through it when in the pan, however these don't transfer onto the skin, but they just deliver a subtle sheen which gives the cheeks a healthy glow. All in all the blush is very nice and I'm glad I have it in my collection, but I'm unsure if I'd run out and buy another straight away. They retail on QVC for £23.00 ( plus p&p) which makes them more expensive than Mac and on par with Nars, and the fact I can't swatch them in store and have to buy them online annoys me slightly. They're good but I think I prefer my Mac and Nars blushes personally, they're a lot more readily available to me, and I think they're just as good, if not better. I'm not saying I will never buy another, because lets face it you know I will at some point but for now I'm just happy having one in my collection. 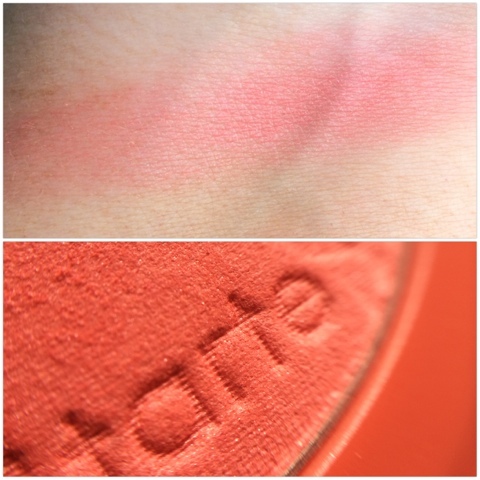 What's your favourite blush shade from Tarte? Have you tried any other product from the line? What do you think to them ?